Dr. Ujjwala Kundu, M.A., Ph.D.
Dr. Ujjwala Kundu is one of late Dr. Mahanambrata Brahmachari's coveted disciples to carry out and expand the services for Prabhu Jagadbandhu and sanctify and propagate the significance of MahaUdhdharan (great deliverance) Lila (creation, seen as the playful activity of a deity) that Prabhu Jagadbandhu perceived as the eternal savior of humankind. 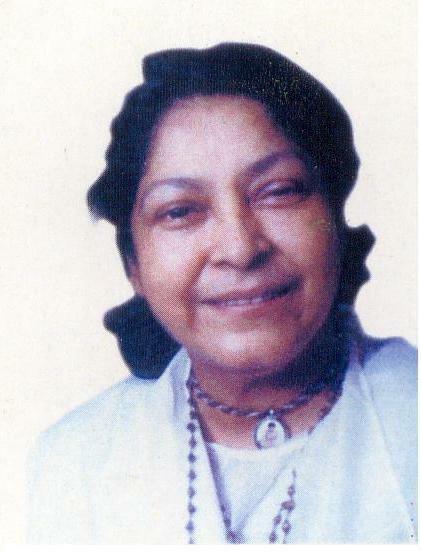 She dedicated her life and has taken an absolute shelter in preaching the essence of Mahanam Yajna (Yagna) – Harinam Sankirtan (the mainstream of Jagadbandhu’s life and preaching, along with other associated religious practices) and continued on timelessly as a rudder with her dedicated service to Bandhu Sevika Sangha of Malda, India. And by serving Bandhu Sevika Sangha in Malda as its principal sevait and in-charge, she is inherently a part of both Mahanam Sevak Sampraday and Mahanam Sevak Sangha of India, founded by Sri SriPadji and Dr. Mahanambrataji respectively as the parent organizations.